A new route from London Bridge to Leytonstone via routes 40 25 and 257 as all the sections this would cover on all three routes are very busy at most times of the day running every 8-10 during busy periods to start with 15-20 Evenings and Sundays. And extend routes 179 back to Barking London road during off peak periods and saturday daytimes via the A406 as a quicker alternative to/from barking during shopping hours avoiding ilford lane and extend route 115 to Barking Station or even a new route between Canary Wharf and Becontree heath via route D8, current 115 and route 5. The 5 already has assistance over to Barking covered by thr 238 so it wouldnt be neccessary unless its really an issue. The 238 runs about every 10 minutes so i personally think it should remain as it is now. I dont think the 257 would really need assistance, all it needs is an extra journey to cover the shopping/peak hours. In addition, the Central Line already covers Stratford - Leytonstone in 5-6 minutes so would it be neccessary? New route from North Greenwich to Vauxhall Bus Station via 188 to Canada Water, 381 to Old Kent Road, westbound and left into Abany Road then via 42 to Camberwell Green then via 35/45/345 to Brixton and via 2 to Vauxhall Bus Station. This would introduce a link between Camberwell and Canada Water as well as Loughborough Junction to Vauxhall and in general create another SE/SW London bus link. Route number unknown....whatever number's available between 0 and 500. I'm not too sure i just know since it serves Shirley Oaks its added on 20 mins to the journey time. Making the average journey now 47-77 mins. I can assure you that going via Shirley Oaks does not add 20 minutes to the journey time! 54 back to West Croydon again. 129 extended from Greenwich to Blackheath Village via current 386 route - makes more sense than current service. 202 extended to North Greenwich via 108 or Queen Elizabeth Hospital via 53/54/422 and 486. 386 diverted to Lewisham via 188/199 to Deptford Church Street, then 47 to Lewisham - new links in Deptford to Greenwich and beyond. 484 extended to either Greenwich via 180/199 or Blackheath Standard via 108 - again, new links to/from Brockley. New route from Camberwell Green, following the 36 to New Cross, the 53 to Repository Road, Woolwich, then 486 to Queen Elizabeth Hospital. Takes pressure off the ludicrously-rammed 53, and provides new links to QEH from parts of Charlton, Blackheath and west Greenwich. I like the 129 idea, gives it more purpose than it already has TBH. I also like the idea of the new route between Camberwell & Queen Elizabeth Hospital because as you say, it would help the 53 which gets heavily loaded. Also provides new links from Camberwell, Peckham, New Cross to Charlton and the Hospital itself. If you check the current 367 timetable you will see the off peak running time between Primrose/Poppy Lane and East Croydon is 14 minutes (obviously it will be a bit longer at peak times) but this makes a nonsense of the suggestion that the journey is now 20 minutes longer. The 367 was rerouted this way to cover for the 494 which was withdrawn. Aside from this the 367 route is somewhat circuitous anyway and the 119 or train/tram will be quicker between Bromley and Croydon. 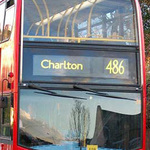 I would extend the 37 to Richmond, withdrawing the 337, and the buses from it to go onto the 37. 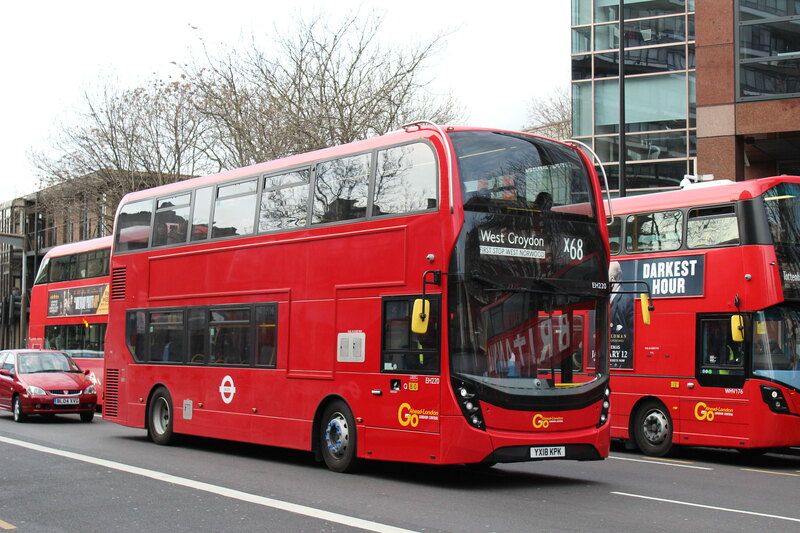 (Both use Enviro400s) I would also extend it to either Manor Circus/Manor Road (via 493) or Kew Retail Park (via 493 and R68), thus serving the busiest parts of Richmond, plus the ability to change onto virtually every service serving Richmond. The route would be 24 hour, so the N10's Putney-Richmond section is recovered. The A205 would play havoc with that, not to mention the traffic you can find in Brixton during rush hour. Thats why the 37 was split into 3 routes during the late 80's/early 90's. Yes, your right. It doesn't take 20 minutes longer but I rather not compare the timings from shirley oaks, poppy lane as it was not part of the route when the 367 ran direct from shirley to croydon. I perfer to compare the point from 'The glade monk orchard school' to 'east croydon'. Looking at the old timings and the new one it used to take 13 minutes in the off peak from monks orchard to east croydon. Now, it takes 23 minutes, roughly 10 minutes longer. However, in morning rush hour, its is about 15 minutes longer! I usually steer clear of these type of threds; i personally would not modify the 308 at all as it being my local route it suffers from late running every single day, Saturday's being the worse with the increase patronage of customers to Westfield increases traffic in and around the Stratford area. - Thus resulting in a lot of 308's running late even at 10:30pm; where buses usually run late and packed leaving waiting passengers behind. Far too many routes were chopped up in the 80/90s but they are still no more reliable, I can't see why Peckham to Richmond should not be possible leaving the H37 to cover the Hounslow section. No Disrespect, but extending any Route in Catford which comes into Catford via Stanstead Road or Perry Hill/Catford is not a good idea at all. The traffic which occurs at will make the services unreliable. The 185 to Lewisham is just about enough. The 202 to Blackheath, Royal Standard is just about enough as well. The 484 sevrice is quite unreliable as it is extending it will make the service worse. I like the Camberwell Green to Woolwich bus Idea though. The 53 has to be the busiest serivce bus service in South London. Extend the 432 over the 415 to Elephant & Castle. Also, a consultation should be set up to see if an extension from Anerley to Elmers End is worth it for the 432.